Quinoa – Superfood or Just Super Expensive? Considering quinoa contains 8 grams of protein per cup, it is one of the best foods out there to give your body long-lasting energy. 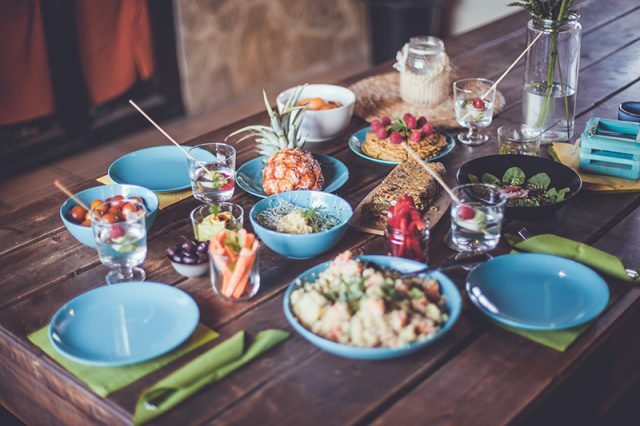 As one of the only plant-based foods that give the body each of the nine essential amino acids that combine to create a complete protein, it is a terrific alternative to animal-based foods like meats and eggs. These amino acids are not made within the human body and must be consumed through dietary means, making quinoa a top choice for protein. With almost two times as much fiber as most other grains, quinoa is about as nutritious as a food can get. Dietary fiber is beneficial to our health in a variety of ways such as helping relieve constipation, lowering glucose levels, preventing heart disease by lowering high blood pressure, and improving cholesterol levels. 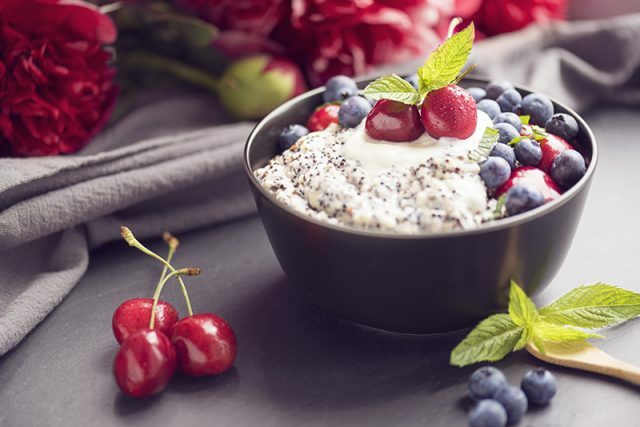 High fiber foods require more chewing and therefore take more time to eat, and they can help you feel fuller longer, which may even help you lose weight! Iron plays an essential role in keeping red blood cells healthy and helps produce hemoglobin, and just one cup of cooked quinoa contains 15% of the recommended daily iron intake. This mineral also has the ability to increase the metabolism and regulate the body’s temperature. Iron helps the transfer of oxygen between cells, and delivers it to the muscles to keep them functioning properly. The brain needs about 20% of the blood oxygen found in the body, which means higher levels of iron can help boost functioning of the brain. 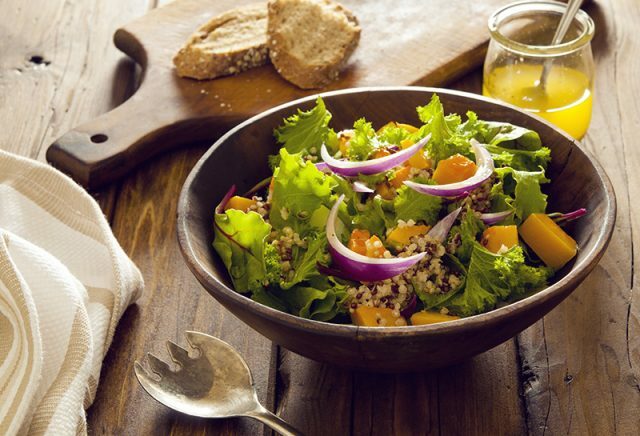 As a nutritional powerhouse, quinoa also powers the body with riboflavin (vitamin B2), which can increase the cell’s’ energy metabolism found in the muscles and the brain; manganese, an antioxidant that defends red blood cells from damage brought on by free radicals; magnesium, which can help boost energy levels, lower the risk of Type 2 diabetes and alleviate migraine symptoms; and lysine, which is necessary for tissues to grow and repair themselves. 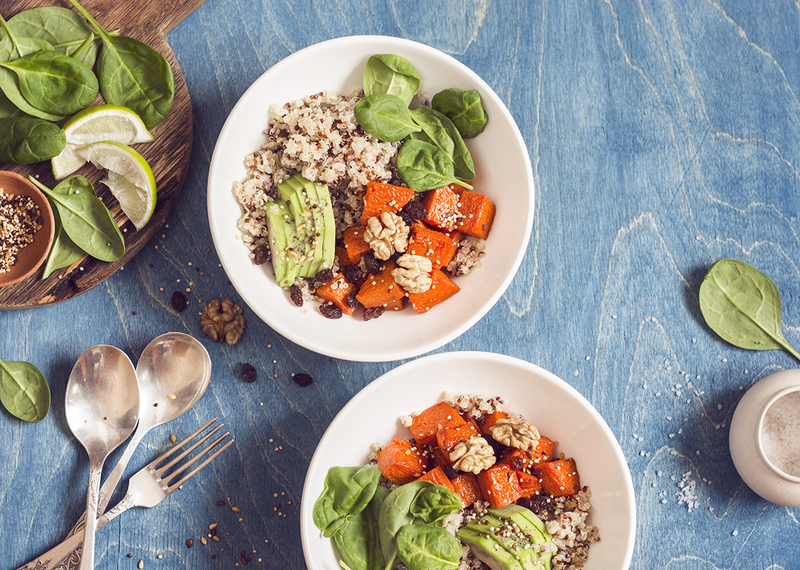 As you can see, quinoa is a remarkable superfood that really does live up to the hype, so add the yummy grain to your healthy diet and enjoy all of the nutritional benefits!